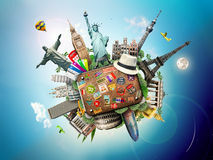 Home » All Inclusive , cheap tickets , indoor activities , Las Vegas free activities , Las Vegas Hotel Resort and Casino Deals , Poker Atlas , summer vacations , Travel light » Cheap Summer Vacation: How to Lower the Cost of Flying? Cheap Summer Vacation: How to Lower the Cost of Flying? If you are like many other Americans, you may consider giving up your annual summer vacation. Due to the poor economy, many Americans don’t have the money to spend. Those that do have the money are starting to think it may be best to save it. Yes, you shouldn’t plan a trip that you can’t afford. With that said, you don’t need to give up your summer vacation. Instead, just cut a few corners. Reduce your expenses whenever and wherever possible. A great place to get started is with airfare. So, how can you reduce the cost of flying when planning a summer vacation on a budget? Don’t fly unless you need to. Of course, if you live in New York and want to travel to Hawaii or the Caribbean, you need to fly. However, if you are living in Upstate New York and want to vacation in New York City, it may be easier and cheaper for you to drive. If your vacation destination is within driving distance, compare the cost of driving with flying. Which is cheaper? Price compare airlines. Unless you have a favorite airline and if you belong to their frequent flyer program, price compare. Whether you are traveling to New York, Florida, California, Europe, or the Caribbean, you should have multiple airlines to choose from. Opt for the one that gives you the better rates. Experiment with your dates of travel. The summer is already a peak travel season. For that reason, you will find fairly high airfare rates. Still, there are ways to lower their costs. Did you know what when you fly and when you book your tickets could mean a difference of $100 or more? It can. In most cases, it is cheaper to fly in the middle of the week, like on a Wednesday. You may have intended to depart for your summer vacation on Friday, but see if it would be cheaper to leave on Wednesday instead. As for booking your tickets, most travel experts claim the best time to book a flight is early Tuesday or Wednesday morning. Pay with a debit or credit card that rewards you for making purchases. PayPal has a debit card where members can receive up to 1% cash back. This is just one simple example. Different cards have different rules, restrictions, and rewards. Since most people can easily pay $200 for a ticket, get something in return. Whether it be cash back, extra airline miles, gas, or a new suitcase, get rewarded for a purchase you were going to make regardless. Arrive at the airport early. Missed flights are rare, but they do happen. Unfortunately, many airlines have rules and restrictions. If you miss a connecting flight due to a late arriving plane, you will be taken care of. However, if you miss your first fight because you were late to the airport, you may be out of luck. 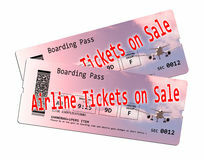 In fact, you may have to buy a new ticket or pay extra fees. Don’t risk it. Arrive early. Bring your own snacks from home. Your hands are still tied with drinks. Many airlines still provide travelers with free soda or water. You can also buy a soda, water, juice, or coffee from an airport store past security. As for snacks, you can bring snacks from home and you should. It is a lot cheaper to buy a bag of chips or a box of crackers from your local grocery store than an airport convenience store. The more food you have, the less likely you will need to eat a meal at an airport restaurant. Avoid the extra costs and long lines. Limit your luggage. To help compensate for the huge financial losses airlines have been experiencing, many started charging extra airline luggage fees. Most airlines charge you a set fee, like $25 one way for a second checked bag. Unfortunately, many have also started charging you for your first. To lower extra luggage fees, pack only what you need, condense luggage with family members, use space saving travel bags, and make good use of your carryon bag. As you can see, there are many ways to lower the cost of flying for a summer vacation. Whether you are traveling alone or with a group of friends or family, implement these steps. They could save one traveler at least $100.